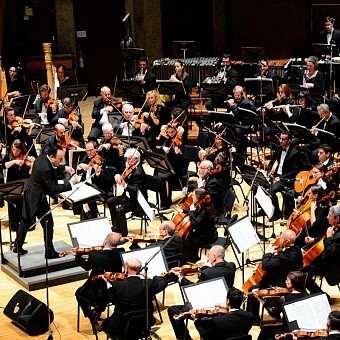 The Jerusalem Symphony Orchestra, IBA, which celebrated its 80th anniversary last season, was founded as the Palestine Broadcasting Service Orchestra in the late 1930s. In 1948 it became the national radio orchestra and was known as the “Kol Israel Orchestra”. In the 1970s, the orchestra was expanded into the Jerusalem Symphony Orchestra, Israel Broadcasting Authority. As a radio symphony orchestra, the majority of the concerts which the orchestra holds at its resident hall – the Henry Crown Auditorium – are being recorded and broadcasted over IBA’s Kol Ha’musika station. Felix Mendelssohn (1809-1847) Overture “A Midsummer Night’s Dream"